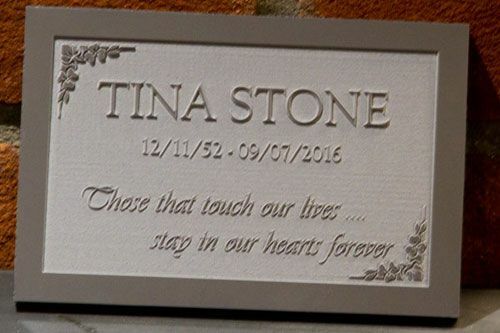 Corian is a mixture of clear acrylic resin, natural minerals and pigments, making it look and feel very much like stone, but unlike stone, Corian can be used for plaques and signs were smaller lettering and finer details are required. 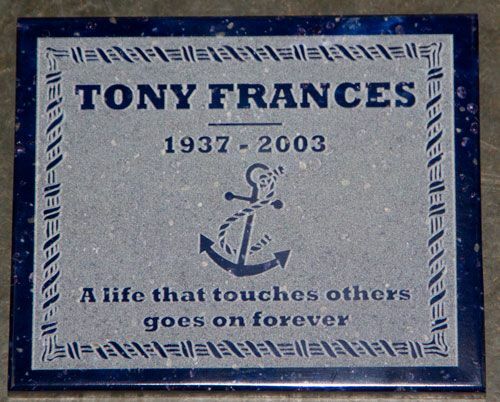 These plaques, signs and nameplates are hard wearing, weatherproof and virtually maintenance free. Unlike stone, Corian is totally consistent with no variation in composition, fault lines or cracks throughout its features. These plaques we laser away the background leaving the letters raised, giving it a similar look to cast bronze and aluminium signage, but is obviously a more cost effective option. Choose from a wide range of fonts with lots of letter colour choices . Images can also be included. With the information you provide us our expert designers can create the perfect sign for you. If the plaque is needed for an event please tells us the date of the event in the notes box. Corian is also excellent for shaped house signs. Weather proof, fade proof and maintenance free. 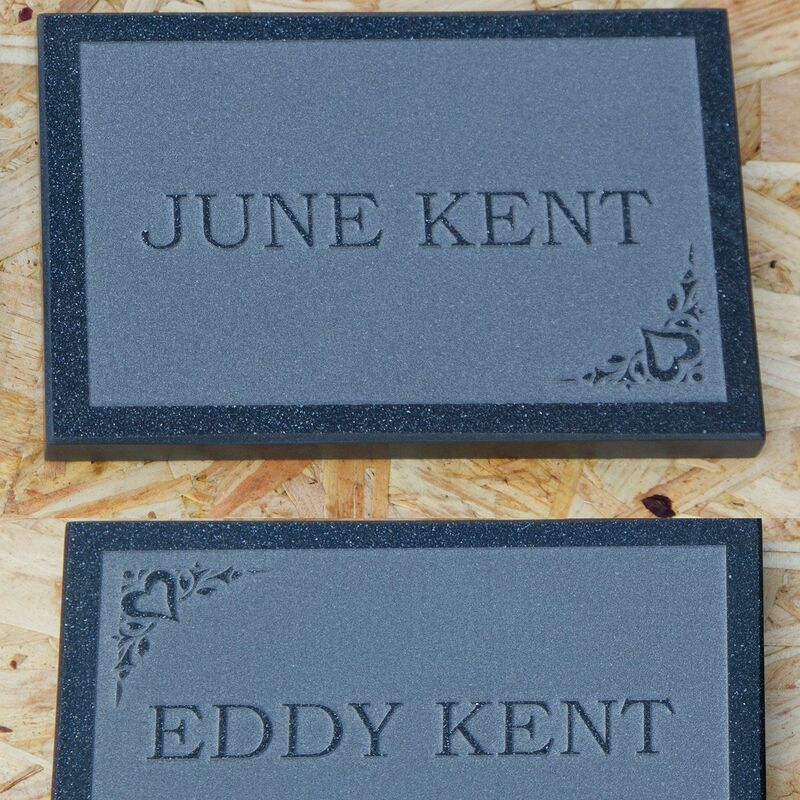 Two tone engraved corian plaques - 6mm plaque inset into 12mm back-plate. Fixings can be hidden.